United Methodist Historic Site No. 534 plaque to be installed at Alaska Pacific University. Image courtesy Larry Hayden. 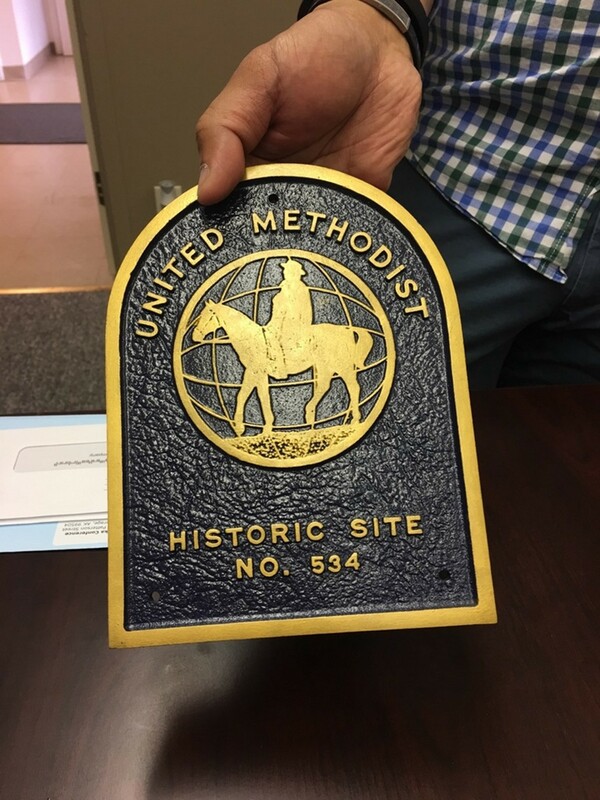 Alaska Pacific University will become a United Methodist Historic Site with the unveiling of a plaque on Friday October 6th at Grant Hall on campus at 1:15 p.m. followed by a reception, for which an RSVP is appreciated at 333-5050. Jesse Lee Home alumnus Rev. P. Gordon Gould, an Aleut from Unga, initiated the effort to establish a university in Alaska in 1948 with the intent of training local people for leadership in local employment. Alaskan communities and businesses provided great sums of money along with the Methodist Church to kick-start the educational institution that continues today on a track to become a Tribal University connected with the Alaska Native Tribal Health Consortium. Alaska Pacific University is rooted in the Methodist Tradition. In the 1950s during the preliminary building of the campus, Bishop A. Raymond Grant, based in Portland, had administrative control of Alaskan Methodist happenings and the main building is named for him. The Dormitory across the road was named for Rev. Gould. Since classes started in 1960 hundreds of students have experienced a wide-ranging curriculum for personal development and business acumen. The United Methodist Church recognizes the contributions that Alaska Methodist University/Alaska Pacific University has made during the past 57 years and has designated the campus as United Methodist Historic Site No. 534. An Historic Site is a location or structure associated with an event, development, or personality deemed of strong historic significance in the history of an Annual Conference, such as Alaska. Alaska has two other United Methodist Historic Sites: #350 for the Jesse Lee Home in Unalaska, and #368 for the First United Methodist Church in Ketchikan. This designation will alert United Methodist travelers and others around the globe that APU would be an appropriate place to visit, and support.